3 flats of strawberries from Wish Farms in Plant City, FL. 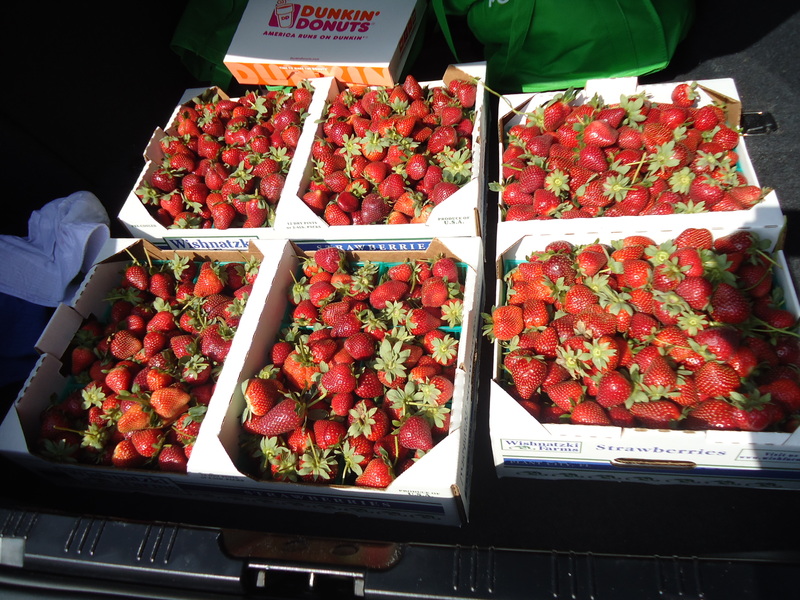 Today we went to pick strawberries in nearby Plant City, FL, the winter strawberry capital of the world! Our Plant City strawberries are some of the sweetest and juiciest around and are absolutely one of my family’s favorite things! Wishnatzki Farms opens their fields to the public once a year and it’s this weekend! Last year I found out about the event after the fact so I was happy to learn we had not missed it. Well, once we got there, we were thrilled to see the beautiful ruby-red berries on the plants. The berries were plentiful and we came home with three (!) flats! Boy! Are they ever juicy. I have so many plans for them…strawberry muffins, strawberry ice cream, strawberry milkshakes, chocolate covered strawberries, strawberry salad…I can hardly wait! Check back for recipes. The strawberry ice cream is already in the freezer, yum!